SharePoint desktop view, fully interactive – everything which you can do at your desktop, you can do on mobile. Perfect on a tablet. SharePoint App – use when you are on the go and need quick, small screen access to vital files and lists. With Link, you can save docs for encrypted offline access, then review and edit them later. Use SharePoint on your schedule, with the device that is most convenient for you. Want to write mobile web apps and secure them in our container? The Link HTML5 SDK is for you. 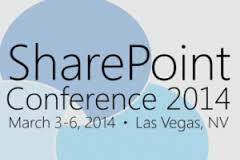 If you have not seen our Link SharePoint solution, this is the perfect opportunity. We’ll be happy to show you Link at booth 641.